Hybrid and electric SUVs are becoming more and more popular as automakers are trying to lower their overall emissions throughout their lineup and customers want SUVs that have a bit more of a green image. BMW was one of the first on the scene, with its X5 xDrive40e plug-in hybrid. 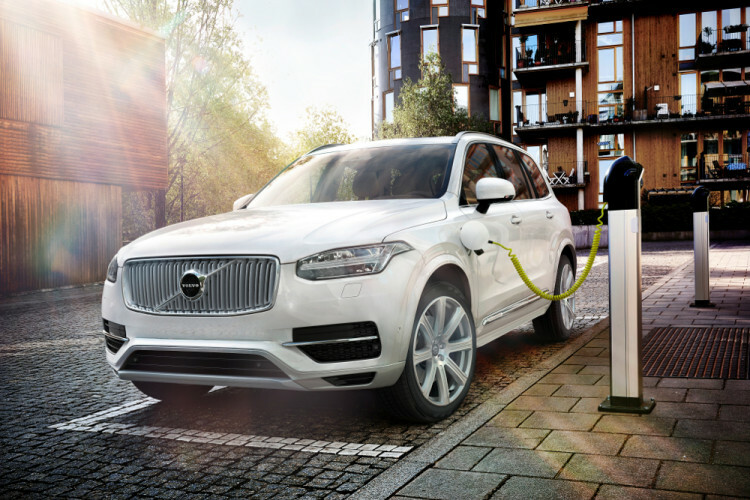 Volvo more recently took to the streets with its brand-new XC90 T8 Twin Engine. Both are excellent plug-in hybrid SUVs that take dramatically different approaches. So which one is better? The people from the Quebec Telegram find out. Both of these mammoth hybrids are very different. In one corner, the BMW X5 xDrive40e uses a 2.0 liter turbocharged four-cylinder engine that’s mated to an electric motor an both drive all four wheels through an eight-speed automatic. 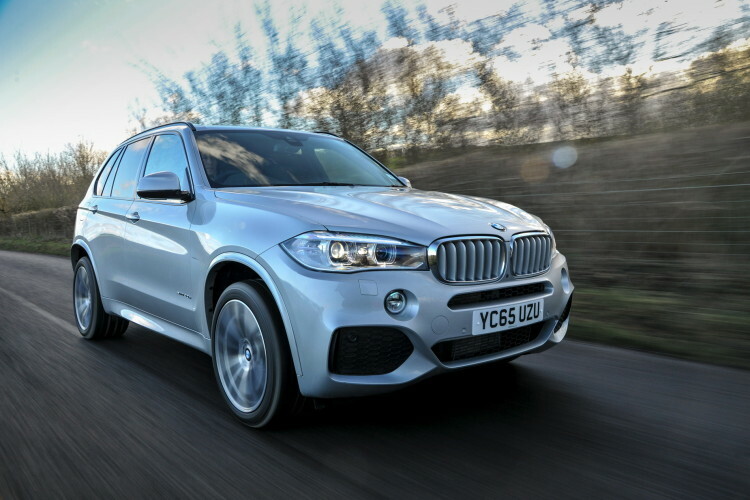 Combined power output from the X5 hybrid is 309 hp and it can get from 0-60 mph in 6.2 seconds. Not bad for a big SUV. It can also do around 22 mpg (with both the gas and electric motor working together), which is also pretty good for something that weighs two tons. In the other corner is the Volvo XC90 T8 Twin Engine, which has a vastly different setup. Up front, there’s a 2.0 liter turbocharged and supercharged four-cylinder engine that makes 316 hp and 295 lb-ft of torque. That engine is mated to a 46 hp electric motor that, together with the engine, drive the eight-speed transaxle gearbox. Then, at the rear wheels, there’s an 87 hp electric motor, to give real-time torque vectoring all-wheel drive. It’s quite complex but effective, as the XC90 T8 can get from 0-60 mph in just 5.3 seconds. However, all of that hardware adds a lot of weight, which makes it suffer a fuel economy penalty, as it gets around 21 mpg combined. Inside, they like the Volvo XC90’s design better, as it’s a beautifully trimmed cabin that is really one of the better ones in the industry. 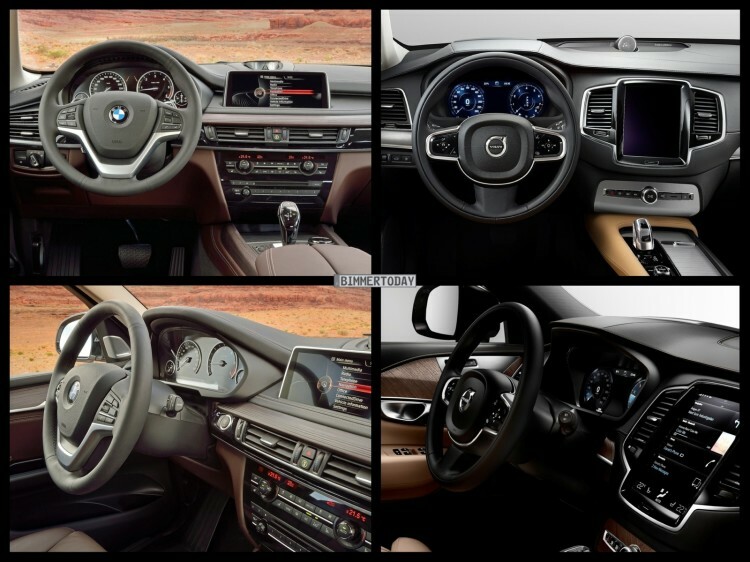 Though, they also felt the BMW X5’s iDrive system was better to use than Volvo’s touchscreen system. Though, fun fact, the Volvo’s touchscreen is infrared-based, so it can be used with gloves no problem. The BMW X5 xDrive40e is also the better handling car of the two, as it weighs and bit less and is more focused on dynamics and ride quality than the Volvo is. While the Volvo XC90 isn’t a bad handling car, you can feel its heft more when pushing it. Without having driven the Volvo XC90 T8 Twin Engine ourselves, we can’t say which is better or worse. The Quebec Telegram is pretty harsh on both cars, claiming that they aren’t as efficient as their diesel counterparts. They have a point, as diesels will still provide better economy, but both cars do more than just help in the mpg-department. Both cars offer a look into electric mobility for their customers and move the ball forward toward a greener future. In that respect both cars are very good but it seems as if the BMW X5 might be the more well-rounded product.